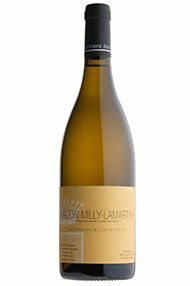 In September 1999 the Lafon family of Meursault bought a domaine in the wine region of Maconnais at Milly Lamartine, renaming it Les Héritiers du Comte Lafon. 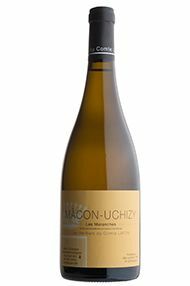 In May 2003 a further domaine of 6 hectares in the villages of Uchizy and Chardonnay was bought. 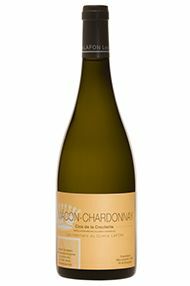 Together the Mâcon domaine amounted to 14 hectares producing seven wines in all, four of them from single-vineyard sites. 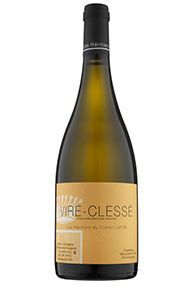 The most recent addition, from 2009, is a contract to farm the vineyards of the Château de Viré, with the appellation Viré-Clessé. The whole operation, based at Milly, is now looked after by Caroline Gon under the supervision of Dominique Lafon. The vineyards were immediately converted to organic and now to biodynamic farming. The wines are vinified partly in stainless steel, partly in large wooden foudres (ovals) and partly in demi-muids - barrels of 600 litres, depending on the cuvée. 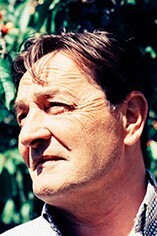 Jasper Morris MW is author of the award-winning Inside Burgundy comprehensive handbook. Two-thirds raised in foudre with the remainder in large barrels, this is a standout cuvée in warmer vintages such as 2017. There is gorgeous stone-fruit on the nose and palate, along with sizzling energy and tension. The finish has a pleasant citrus bitterness and a touch of toast. Drink 2019-2022. The Maranches vineyard has a significant proportion of Chardonnay Muscaté, a variety which adds a floral note. 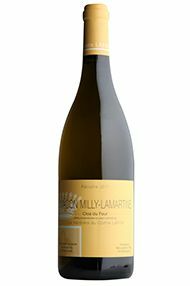 This wine displays a seductive perfume of honeysuckle and apricot. It’s peachy and generous on the palate, yet with cleansing acidity on the finish. Drink 2018-2021. This 2.6-hectare walled vineyard is situated in the village of Chardonnay, in northern Mâcon. It was the first vineyard to be picked to preserve elegance and freshness. 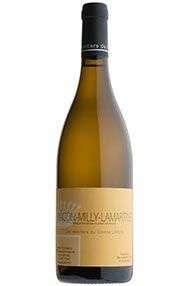 It’s a wine which always displays ripe, sunny fruit thanks to its south-facing exposition, but which has excellent tension and freshness thanks to the limestone bedrock. This year it is suave and elegant with lemongrass notes. Drink 2018-2021. The Maranches vineyard has a significant proportion of old Chardonnay Muscaté vines, a variety which provides a floral note to the fruit. This gives a perfume to the nose and a spicy, peachy feel to the palate, while the old vines resisted the drought stress and provide a balancing tension. Drink 2019-2022. The warmest part of this early-ripening vineyard was the second to be picked, to preserve freshness. The nose has a charming oyster-shell reduction reminiscent of Chablis, a mineral thread which runs through the wine. There is good fruit weight and a precise finish, very elegant. Drink 2019-2022. A fantastic parcel of old vines on the mid-slope in Milly- Lamartine, this is one of the plots that persuaded Dominique to begin his Mâconnais project. The nose displays a touch of noble reduction. The aromas and flavours are altogether more grown-up, with smoke, a chewy texture and promising youthful bitterness on the finish. Great potential. Drink 2019-2024. Two-thirds of this is raised in demi-muids, one-third in a small foudre. 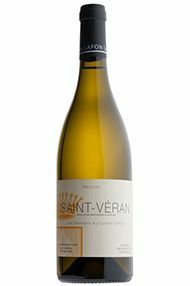 This really shines in 2017, seemingly unaffected by the vintage and – as always – giving a tangy, nervy and mineral expression of the Mâconnais. With remarkable freshness and precision, it’s very long too. Drink 2020-2025. Raised in a mixture of foudres and demi-muids, this is quite a new cuvée for Lafon (the first vintage was 2014). This wine is a blend of two south-facing parcels and one north-facing plot. There is real ripeness to this wine, with notes of orange blossom on the nose, along with a touch of smoky bacon. The palate is rounded and exuberant, with orange peel flavours; the firm, mineral core keeps the ripeness in check. Drink 2019-2023. This wine includes a new parcel which came as part of a deal with the Bret Brothers to jointly manage another estate. These old vines at higher altitude give the wine more freshness and complexity. The nose is opulent and expressive with white flowers. The palate has some rich orange fruit, but there is plenty of tension which keeps things balanced. Drink 2020-2025. 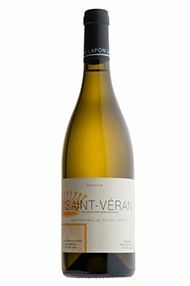 Caroline Gon (winemaker at the domaine) is delighted with her second vintage of St Véran. As she points out, the Montchanin vineyard faces due south and its wines can be prone to corpulence, so timely harvesting is essential: the pickers descended on August 28th in 2015. At present, this shows more than a little reduction, but there are lashings of ripe white fruit beneath. On the palate, a streak of acidity provides the tension to match its gorgeous, rich texture. Enjoy now and over the next five years.